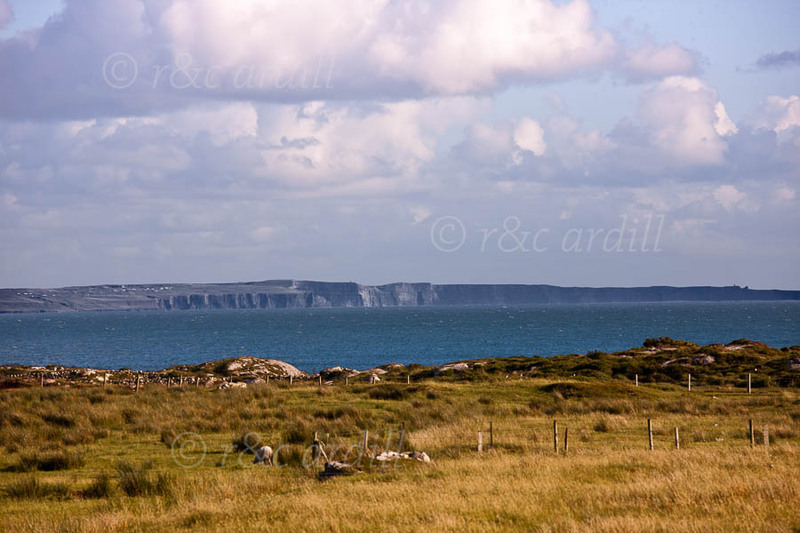 Photo of: West of Ireland: Galway: Galway Bay: Cliffs of Moher. A view across Galway Bay of the Cliffs of Moher in West Clare. The photograph was taken from near Spiddal in Connemara.